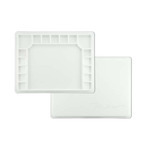 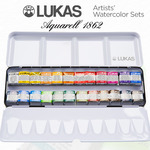 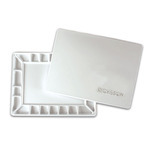 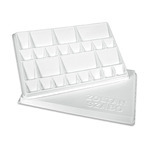 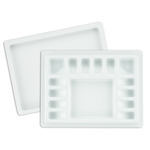 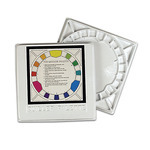 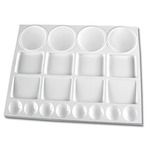 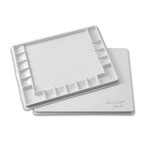 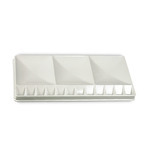 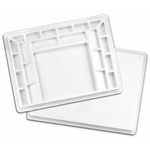 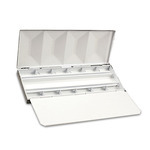 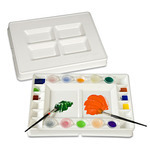 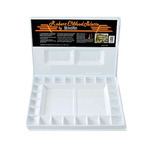 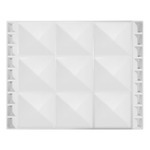 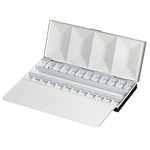 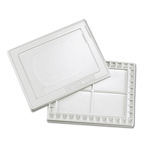 Original Palette - This 12 × 16 × 3¼" white plastic palette features 16 large wells for mixing and painting with big brushes. 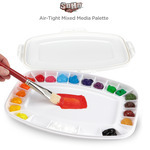 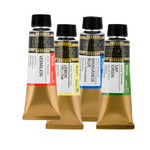 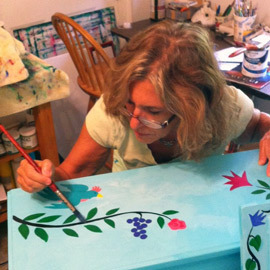 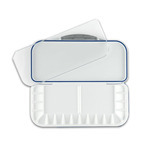 Air-tight cover keeps colors, clean, moist and separate between painting sessions. 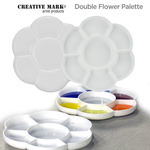 Large white covered palette with two large mixing areas and 24 deep pigment wells. 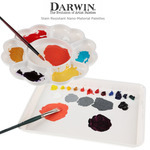 Will keep colors moist and separated between painting sessions. 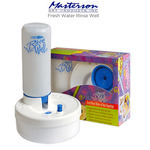 Cover with 4 huge deep mixing wells. 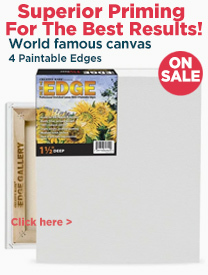 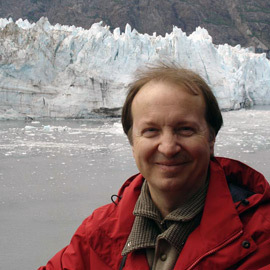 12 × 16" size. 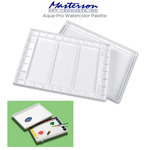 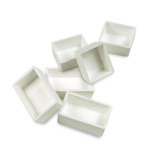 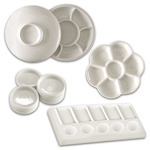 This classic watercolor palette features a selection of 4 large shallow dishes, 4 rectangular mixing sections, 4 adjacent slants and 9 small round wells are all arranged on a 9" × 13" surface. 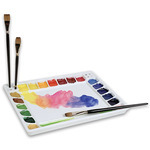 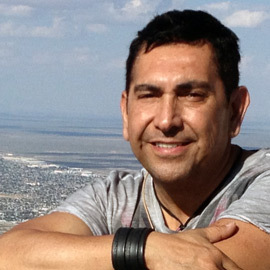 Perfect in the studio for professionals or beginners! 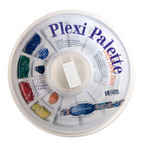 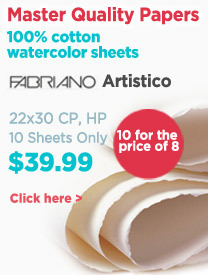 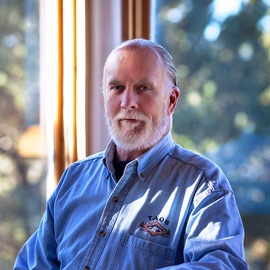 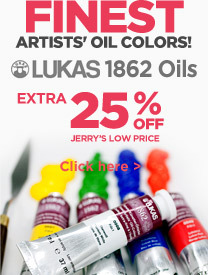 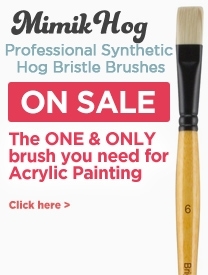 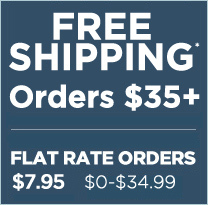 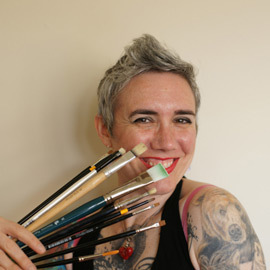 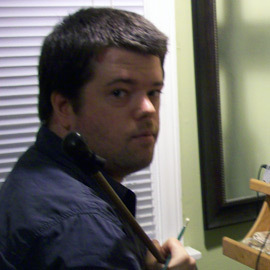 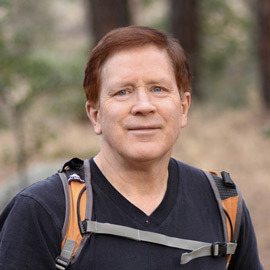 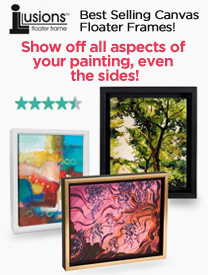 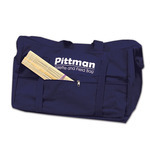 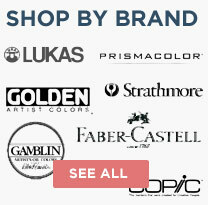 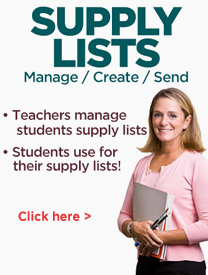 …your favorite painting accessories! 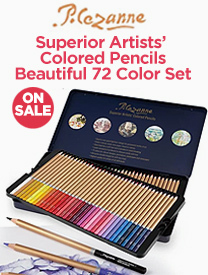 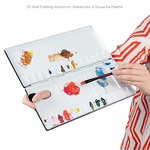 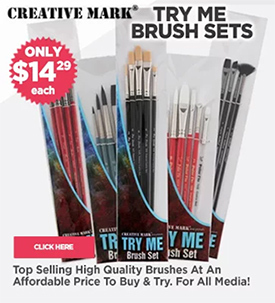 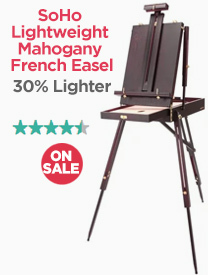 Key Features: * Enameled metal watercolor boxes * Rust-resistant * Fold-out palette in lid * Hold up to 8 or 24 half pans Perfect For: * Building a custom watercolor palette * Bringing plein air painting * Use in the studio or on the road * Any watercolor painter!